I recorded sound and tracklayed/mixed this viral for Puma. 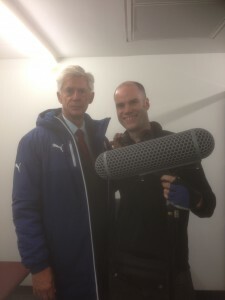 We only had a 15 minute window of opportunity to record Arsene Wenger in the Emirates stadium, so made use of a body double. Here we are in a bit of down time.